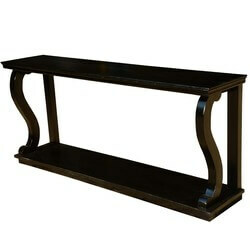 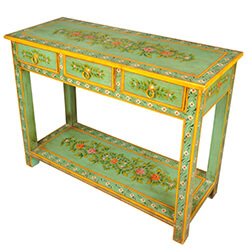 Did you know the original console tables were called coffee tables! 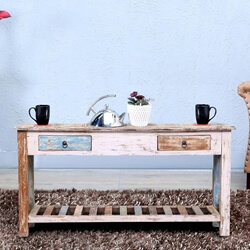 They were placed behind a sofa as a convenient space to place your cup and saucer. 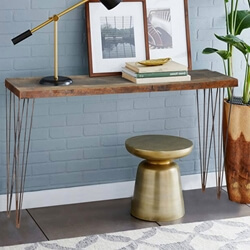 Today these tall and narrow tables are used in hallways, narrow spaces, against long walls, (and maybe even behind a sofa). 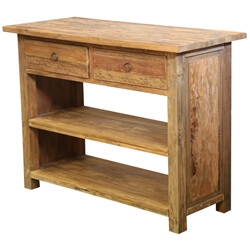 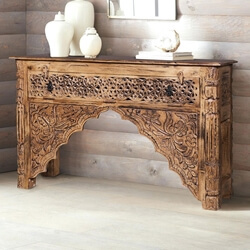 We are proud to offer 70 styles of handmade solid hardwood hall consoles, all built with our focused attention to details and quality craftsmanship. 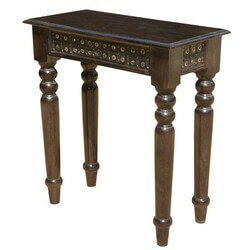 Long tall tables have evolved over the years and are now designed for many different purposes. 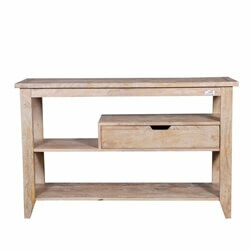 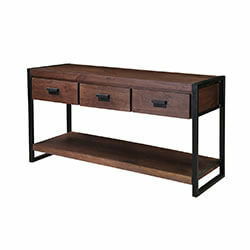 We offer hall consoles with single tops, two and three tier shelf designs, drawers and cabinets. 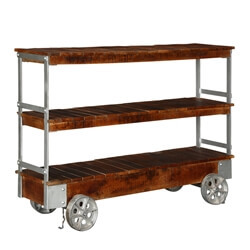 If you’re looking for mobility, we also offer rolling console carts. 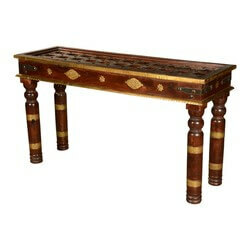 We use solid premium quality hardwoods for all our tables. 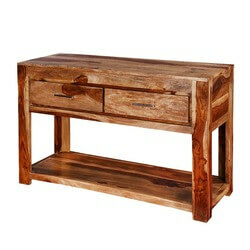 Wood varieties include Indian Rosewood, Mango wood, Acacia, Teak, and Reclaimed wood. 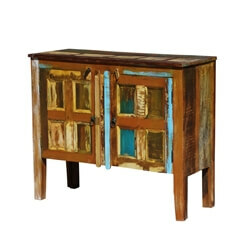 We never use veneers, press wood, or particle boards. 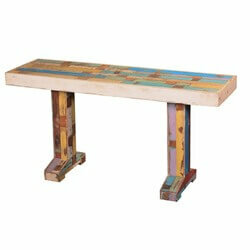 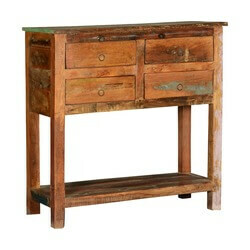 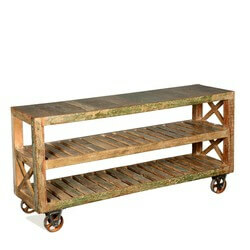 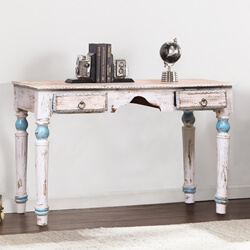 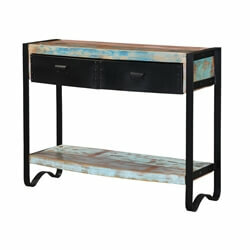 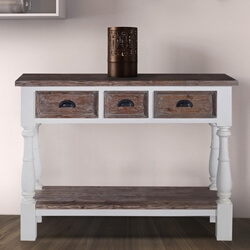 The wood surfaces are hand painted, stained with a hand rubbed application, or authentically distressed. 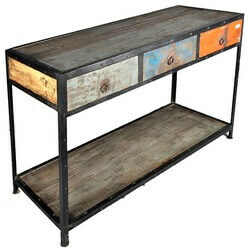 Our reclaimed wood surfaces are natural and untouched. 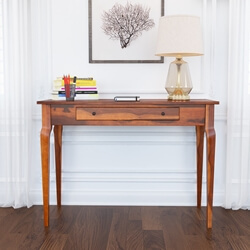 We honor the classic styles with French Baroque, Empire, Gothic, Royal Bombay, Louis XIV, Federal, Queen Anne, New Delhi, and Lincoln Study consoles. 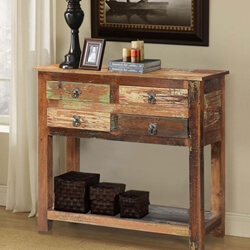 If you lean towards an easy, comfortable look, check out our Appalachian Rustic, Industrial, Pioneer, and Frontier collections. 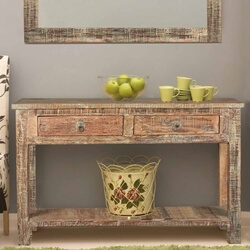 We also offer contemporary and novelty styles. 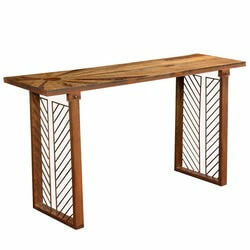 Hall console tables are also smart piece in offices, waiting rooms, and commercial spaces. 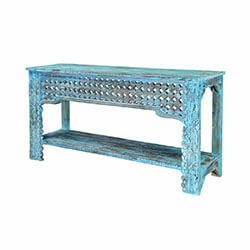 Each of our handcrafted narrow tables help create an atmosphere of quality. 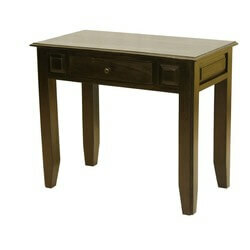 Accent furniture is available for customization, so if you need a different size or shade, please just let us know. 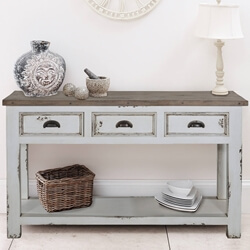 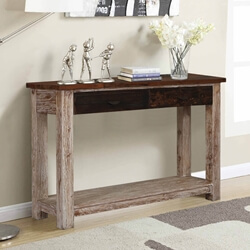 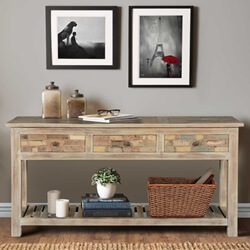 Make your hall, corridor, or entryway more than just a space, make it a living space with a solid hardwood console table.